Dancing with the Tri-Cities Stars is a premier annual benefit event established in 2009. The event itself mirrors the ABC Dancing with the Stars show (including the female “stars” wearing actual dresses from the show). The event begins with a fabulous dinner and the opportunity to bid on silent auction items. Once the dance competition begins there are two celebrity judges and two professional judges who score and provide both humorous and evaluative comments to the dancers after each dance. There are two intermissions to allow the spectators an opportunity to get out of their seats, stretch and make their final bids on the silent auction items. Following the dance competition, there is a dance exhibition involving the previous year’s winners and professional dancers. Once the exhibition is completed there is a short live auction and then the announcement of the winners. The night concludes with open dancing to the music selection of a DJ. Jeremiah School is a therapeutic day school for children in this area with neurological delays in relating and communicating, including autism. The need in our area is great, and we are excited to provide a school where the children are not only educated, but are also encouraged to build relationships with each other and serve a broader community. Jeremiah School is the only faith-based school in East Tennessee dedicated to a focus on diversity in learning while developing relational skills. Jeremiah School is fortunate to have strong partnerships with local entities such as: Summit Leadership Foundation, ETSU Nave Center, Milligan College, Tri-Cities Behavioral Therapy, Mini-Miracles Ministries, and Brother’s Keeper, just to name a few. Each year five men and five women who are local “Stars” from the Northeast Tennessee communities are the featured dancers. 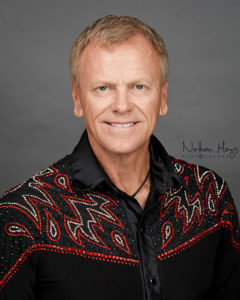 The dancers spend numerous hours practicing their dance selections and then perform these selections on the night of the event with Mike and Kim Adler who are two time World Champions in the Couples Division of The United Country Western Dance Council (UCWDC).